Nothing in our world happens without meaning or impact. In every moment, we absorb different forms of energy from whatever our surroundings hold, especially in the tender stage of childhood. Toys, for one, might simply be seen as objects children play with, but is there a chance that they too have a deeper meaning and effect on the minds and personalities of minors? Toys also play a part in implementing gender roles – we all have seen little girls playing with dolls, and boys being given toy cars or guns to play with. I, myself, was fond of dolls as a child and couldn’t care less about other toys. As someone who has had her fair share of the Barbie-obsession, I can affirm that the toys we play with serve a huge role in informing our behaviour, and if adults are observant they can know more about their children from the way they play with their toys. For me, playing with dolls was all about creating tiny and adorable dresses for them – I ended up enrolling in a fashion design institute. Today, I see my nieces playing those Barbie dress-up games on their parents’ smartphones and PC’s, something that has replaced playing with actual dolls. Behaviour formation occurs here too. Like their plastic counterparts, the Barbie-like figures affirm the importance of glamour and makeup to children, because of the dress-up games that become such an innate part of doll culture. The changes made in the production of dolls and their features cannot be missed. Though critics are dismissive of famous brands such as Barbie, due to the unrealistic body image they may weave into the minds of young girls, Bratz dolls have been the blatant glamorisation of all dolls. Many of us have fought with society’s perceptions of beauty based on the standards that have been established by the media. While Barbies seem like an imitation of runway models, these Bratz dolls are something beyond sensualised versions of what the fashion industry and pop-culture presents as desirable – all embedded into a child’s toy. This will serve as nothing but harmful for the younger generation of girls. So, is it fine to let the delicate minds of young girls be exposed to the pop-culture inspired toys that might end up giving them the wrong idea about beauty and gender-roles? Artist Wendy Tsao didn’t think so. A true artist is someone who can shift the perspective and look beyond what the masses have adjusted to. And Canadian artist, Tsao, decided to do just that. She believes that we shouldn’t let our younger generation be pushed back to ideals that make them want to conform to certain beauty standards; whether it’s the perfect Barbie-bodies, or the sensual looks of Bratz dolls. 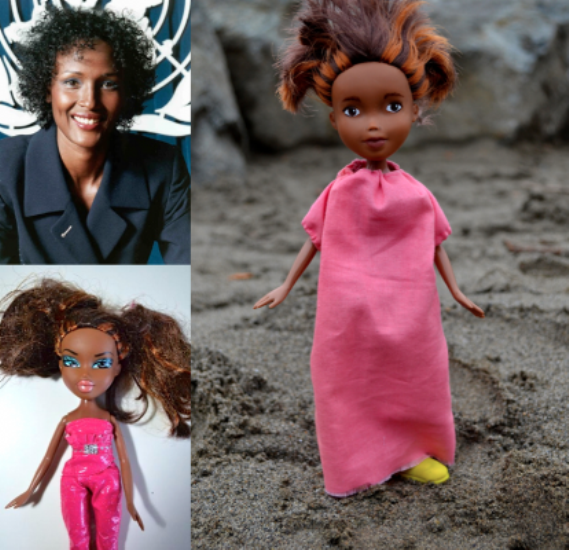 She reimagined the Bratz dolls as women of essence. 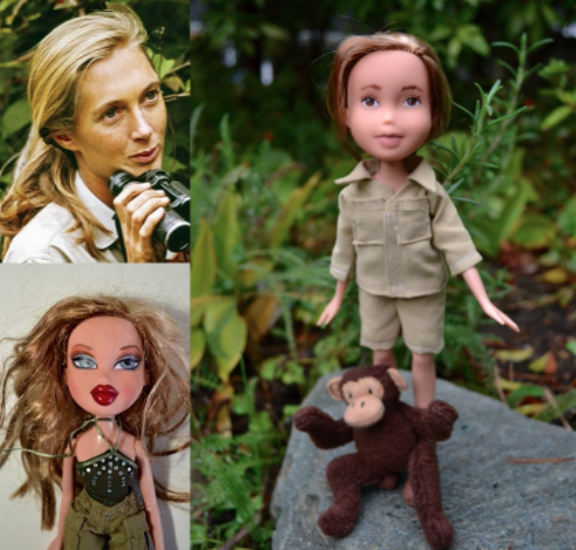 The new dolls were not Disney or mythical characters, but iconic women from real life. Tsao removed the makeup from Bratz dolls and reinvented them. 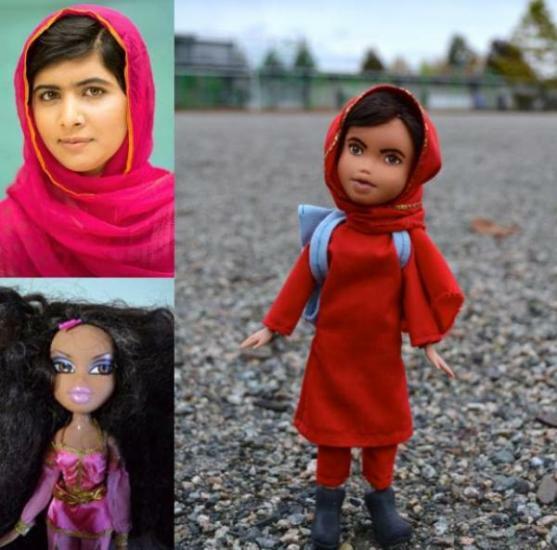 Her new dolls were based on Malala Yousafzai, JK Rowling, Jane Goodall, Waris Dirie, and Roberta Bondar. 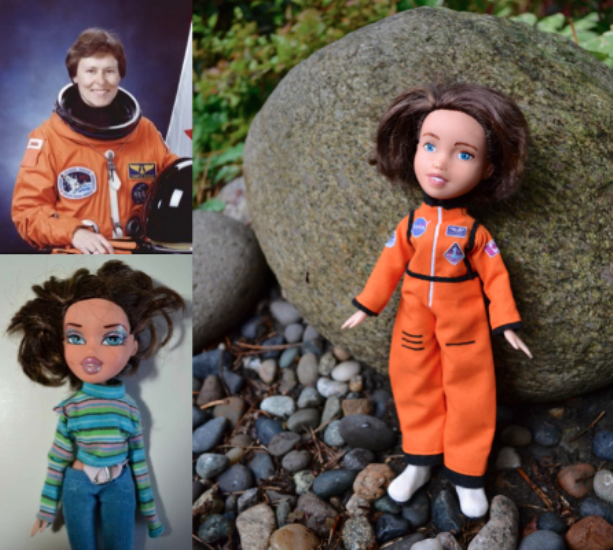 I would have loved to get my hands on the doll inspired by the astronaut Roberta Bondar as a child – I was really obsessed with space and astronomy. Wendy’s motive was to inspire the children who played with these dolls, so that they could learn more about these inspirational women and develop ideals that will make them want to explore greater horizons in life. Children will see that these strong personalities were also like them at one time and that they, too, can be as great if they aim for it. Tsao herself was inspired by her own sister who was a strong-headed girl and supported her through thick and thin. Having been raised with an older sibling with a determined personality facilitated Tsao to be able to see that children need strong and inspirational role models as opposed to hyper-sensualised toys. When Tsao observed how Bratz dolls were being criticised, she didn’t join in the criticism. 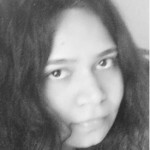 Instead, she sought to find an alternative. She still wonders whether children will be fascinated with the new dolls. Perhaps many young girls won’t even be familiar with the heroic women these dolls represent. I believe this is where our responsibility as adults comes in. Raising our children to be curious about the world and inventing fun ways to teach them about people who made great contributions to society might make all the difference. Toys such as these might be a good point to start. 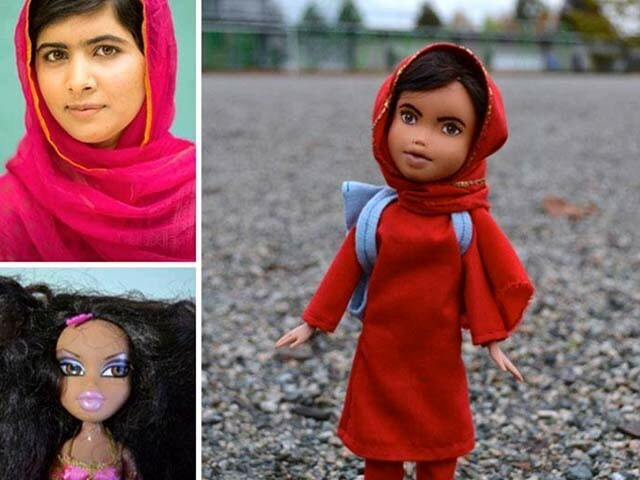 Introduce them to the Malala doll, representing the brave little girl who fought for girls’ rights to go to school. 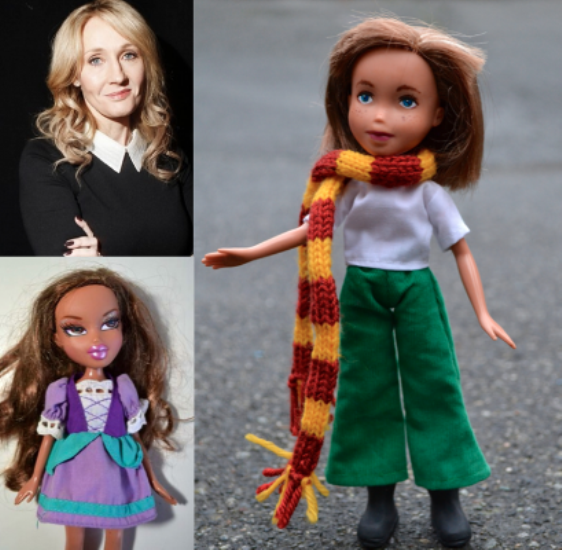 Buy them the JK Rowling doll which is probably going to be a favourite, or Jane Goodall and Roberta Bondar, the UN messenger of peace and Canada’s first female astronaut and neurologist, respectively. Perhaps these dolls will urge children to inquire about these ladies or discuss them with their friends. As we all know, small things can make big differences. Which Bratz doll would you be most inclined to buy for your children?